Bengali Chinese Czech English French German Hindi Hungarian Italian Japanese Korean Nepali Portuguese Russian Spanish Swahili Swedish. "If I were stranded on a desert island, and could take only one thing along to protect me from disease, infection, and injury, I would choose charcoal." ~ Agatha M. Thrash M.D. This book has been printed in over 55 editions and with "Over 4 million copies sold" it is certain bestseller. Back to Eden is a classic guide to herbal medicine, natural foods, and home remedies that have been proven to work. First written by Jethro Kloss, herbalist, food scientist, lecturer, and teacher, this is a work of a human interest story about health and restoration to be found in herbs, roots and barks, food, water, and lifestyle. 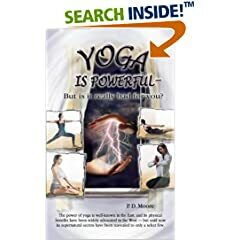 Revised several times, giving undated and clarified information ,with over 300 additional pages of natural health information. Includes many helpful tables, and illustrations, recipes, and a comprehensive index, making every subject available in seconds. 1. Health Choices: Cheryl Thomas Peters - creating delicious, heart-healthy meals in 30 minutes or less! Features recipes for breakfast; portable lunches; eat-at-home lunch occasions; quick, easy dinners; and no-guilt desserts etc. 2. Fabulous Foods for Family and Friends: Cheryl Thomas Peters - A collection of healthy, mouth-watering menus for entertaining with style. Each of he 130 recipes has been selected with attention to the American Heart Association's dietary recommendations and the American Cancer Society's guidelines. 3. Fun with Kids in the Kitchen: Judi Rogers - This cookbook helps children become excited about healthful cooking. Along with the delicious recipes, kids are introduced to the 8 laws of health, as well as the tools, rules and terms in cooking. 4. Kids Can Cook: Dorothy R. Bates - A perfect book for kids who want to try their hand at creating their own tasty, meatless dishes, and for parents who want recipes that are nutritious and easy to prepare. Contain kid -approved results, party foods to make and share, kitchen safety rules and helpful cooking hints. 5. Superfoods for Children: M. Van Straten & B Briggs - This book is an excellent guide for parents who and kids who want to know the bests foods for developing minds and bodies. 6. Guilt- Free Gourmet: A vegan Cookbook and lifestyle Resource Manual: Vicky B. Griffin and Gina M. Griffin. This excitotoxin-free vegan cookbook contains over 175 recipes, quick, and easy recipes designed to provide you with the nutrients that help fight stress and many killer diseases. 400 pages. "All materials on this web site are subject to the laws of copyright. You may not use, copy, publish or distribute the images or any part of the images in any way whatsoever. In addition, you may not remove the image identification mark or alter, manipulate, add to or delete an image or any part of an image. Copyright of all the images and the ideas represented remains with Lux-Verbi and CCRS . No warranty either express or implied is made about the accuracy of the information on this site. By entering this site, you are indicating that you have read and accepted the above conditions." Designed By: LS-S & P. M.; Flash by: A. E.